Equity is the UK trade union for professional performers and its 40,000+ members form a broad cultural community including actors, singers, dancers, choreographers, stage managers, theatre directors and designers, variety and circus artists, stand-up comedians, television and radio presenters, walk-on and supporting artists, models, stunt performers and directors and theatre fight directors. 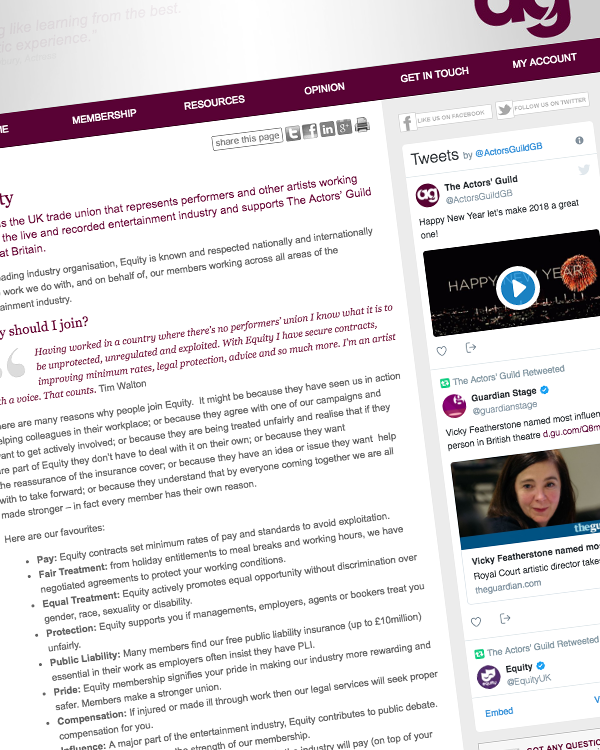 Equity supports their members by negotiating their terms and conditions including fee structures with all kinds of employers and employer’s groups in both new and emerging technologies. The union agreements operate within satellite, digital television, new media, mobisodes, internet only productions, podcasting and so on are all covered, as are the more traditional areas. 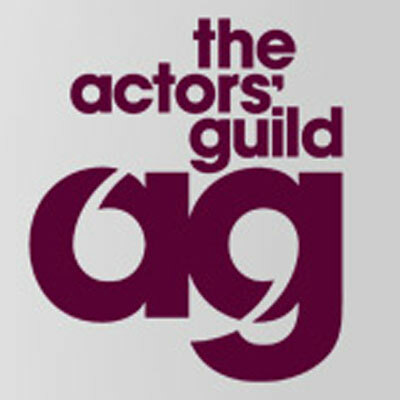 Equity also lobbies locally and internationally for improved recognition for its members. 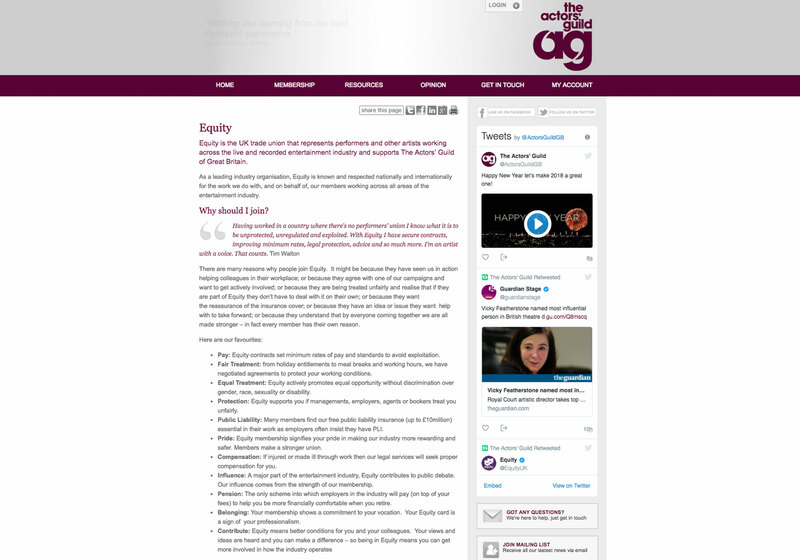 Equity is a member of FIA and is works alongside the British Equity Collecting Society http://www.equitycollecting.org.uk/ (BECS) the collective management organization that collects and pays out royalties generated throughout the EU from retransmission, copying, rental and broadcast.